Breaking the chain of poverty by funding the educations of young Ugandan adults who have fallen through the cracks of African society. Instilling hope to these long-suffering youth by giving them the necessary tools to create successful and fruitful lives. 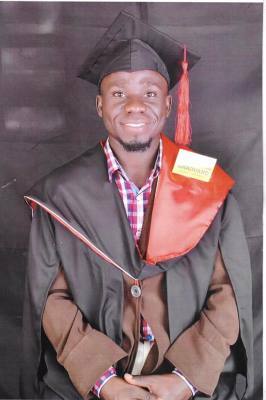 Left to right: Charles Ogam, our 3rd student, has graduated with a degree in computer technology and business administration at Kyambogo University. 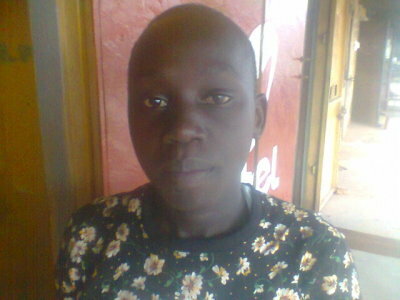 Francis Kumakech, our 5th student, studying social work and administration at KISUBI Brothers University College. (Francis also has created his own nonprofit that councels young people with disabilities) John Deng Akuei, our 1st student, studying electronics at FRAM technical school. 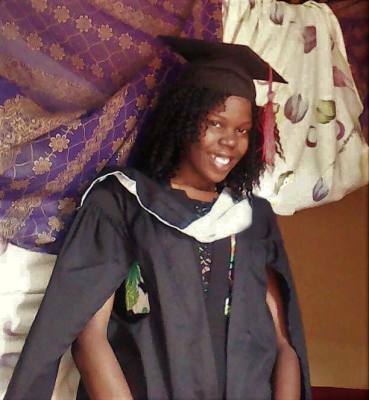 Sharon Modo, our 4th student, has received a diploma in hotel and restaurant management at Uganda Catholic STC and is planning to further her studies in pursuit of an education degree, and Faith Ryaka, our 2nd student, is also studying business administration at Nkumba University in the evenings and weekends. 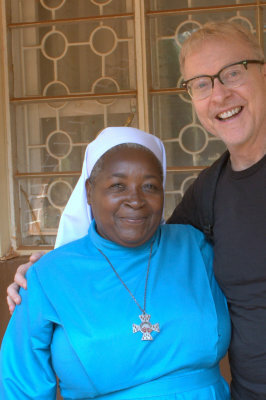 In the daytime she performs social work, visiting AIDS patients and counseling the elderly. 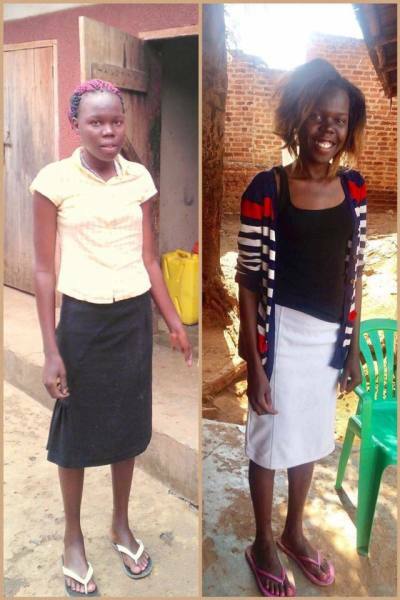 The positive transformation in student Sharon Modo is evident in this composite photo. The first shot was taken before she began her education.. The second was taken during spring break after the first year. Above are the graduation photos of Charles Ogam and Sharon Modo. 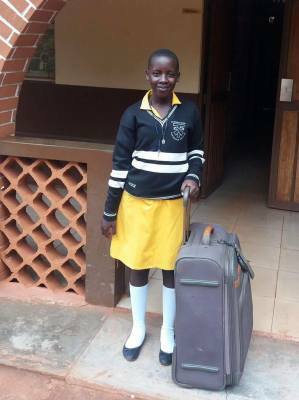 All smiles, our seventh student, Beatrice Nanjala is very happy to be returning to school after spring break. 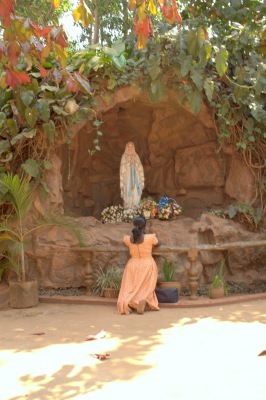 Here she is at the Padre Pio Monastery. She is studying at the St. Francis Secondary School in Busunju, Uganda. Our eighth student John Dundi. 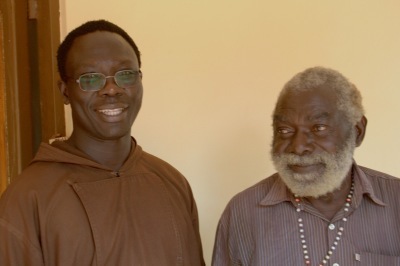 The Padre Pio Capuchin Franciscan Monastery, Kabulamuliro, located between Entebbe and Uganda's capitol, Kampala, is both spiritual and community center for the neighboring and surrounding Kampala area. A thriving assembly of friars, volunteers, parishoners, and visitors, there is always activity on the grounds, in the offices, and in the sanctuaries. It is from here that Father Godwin Ogam, Provincial Superior, has selected the students we are supporting. 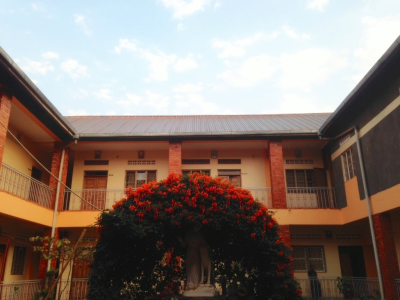 Future plans include the creation of a board of trustees to oversee operations in Uganda. As "Let's Send These Kids to School" develops we plan to impliment a more formal application and screening process for our students.